Are you looking to travel to Europe but wish to learn more about accessibility and mobility options? 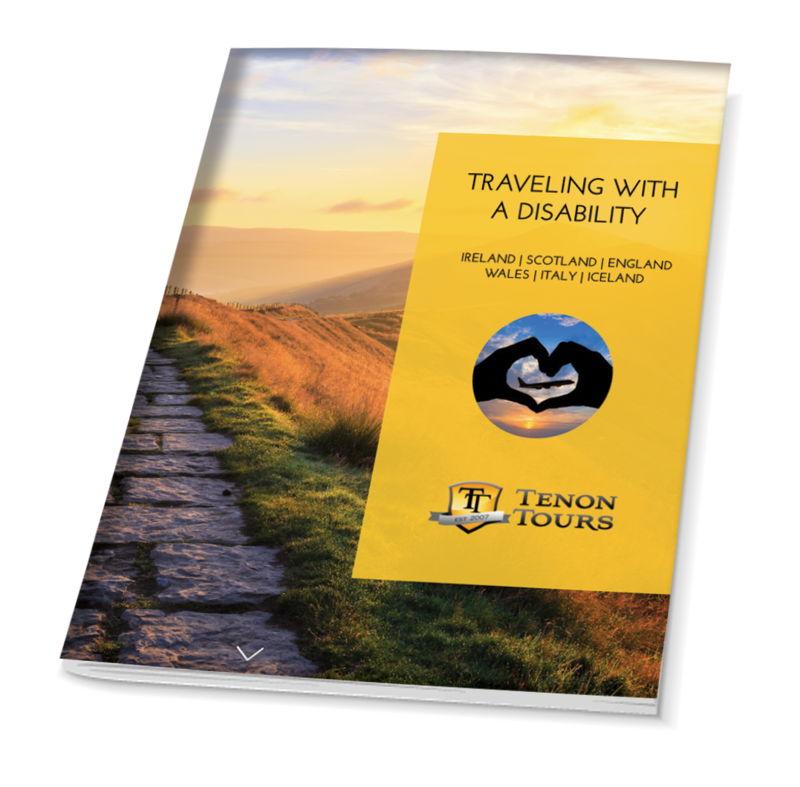 Download our informative guide to learn about accessibility in our specific destinations: Ireland, Scotland, England, Wales, Italy and Iceland. Please note that Tenon Tours is a green company! With respect to our environment, we do not have any printable brochures to send to you directly. Everything is offered online to help reduce printing & paper usage. You will also see animation and clickable links in our e-guides! We hope you enjoy them.